All guests have a comfortable sleeping area with individual covered exercise areas. 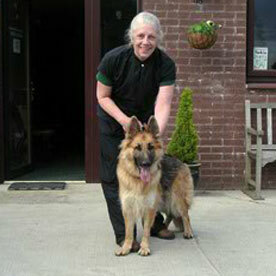 They are supplied with comfortable beds and bedding, with stainless steel feeding/water bowls. Full central heating with facilities for additional heat lamps if required. All kennels are fully secure and alarmed. 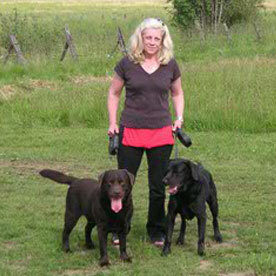 All guests are walked several times per day in the surrounding countryside. We welcome inspection prior to your pet's stay. Please phone to arrange a mutually convenient time. 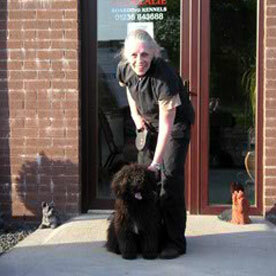 We have a varied menu to suit all tastes, and each pet will be fed the same variety of pet food as at home. Feel free to discuss any special dietary requirements with us. Any non-dog foods can be provided at additional costs. 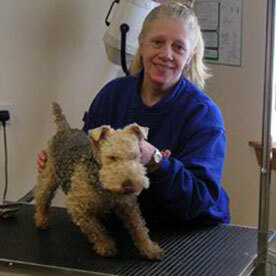 Local veterinary surgeon provides 24 hour cover if required.